At some point, every kid has to write an essay about their “hero”. I never really liked that assignment. It’s not that I don’t believe in the idea of heroes. It’s more that I haven’t really encountered anyone that’s deserving of the title. Of course, there are a few people I greatly respect. There’s others I find highly influential. But the status of “hero” isn’t something I take lightly. In fact, I’ve never called anyone my “hero”. Until now. Without a doubt, Rev. Theodore Asare is truly heroic. His unique ministry work has impacted countless lives in Ghana, and his legacy continues to spread across West Africa. God is working more powerfully through Rev. Asare than anyone I’ve ever encountered. But most importantly, I think Rev. Asare serves as a great model for Christian heroism today. Through his example, a simple yet profound recipe of sorts can be gleaned. Receive a larger than life calling from God, and dare to accept it. True heroes don’t make their own path. They take the impassible road that only God can clear. Theodore Asare dared to take the heroic journey. What was it? He brought God’s Word to those who can’t read it. You see, Bible translators have been working in sub-Saharan Africa for decades. And yet, finished Bibles collect dust on village shelves. Why? Because many Sub-Saharan African cultures value oral tradition. Verbal storytelling trumps the written word. Therefore illiteracy is extremely high. More than 1 in 3 sub-Saharan African adults can’t read. It’s not that they’re somehow deficient – many simply aren’t interested. Those who can read still prefer oral communication. To make matters more complicated, there are over 70 different languages in Ghana alone. West Africa has over 500 languages. That’s why God chose Rev. Asare to bridge the gap. God gave him a specific vision to create audio recordings of the Bible in indigenous African languages. How could one man accomplish such a monumental task? God made a way. 25 years later, Theovision International has recorded audio Bibles in over 288 African languages in more than 35 African countries. This is truly heroic, and eternally valuable. and leave. He selects a leader from within the community, trains them, supports them financially and gives them a motorcycle. Soon, these individuals host weekly Bible listening clubs in a cluster of separate villages. Discussions and friendships develop. Lives are transformed. Disciples are made – not just converts. it’s completely free for users. In addition, there are many remote villages in harsh climates with no access to electricity. Through business partnerships and innovative experimentation, Rev. Asare and his team send out God’s Word across West Africa in the form of solar powered MP3 players, portable amplification systems and other unique devices. started three radio stations, and their programming includes agricultural training. And miraculously, their listening clubs and audio Bibles are increasing literacy rates across West Africa. As it turns out, hearing God’s Word makes people want to learn how to read it. Invests in future leaders – Truly heroic achievements transcend time. The best way for individuals to achieve this is through mentorship. 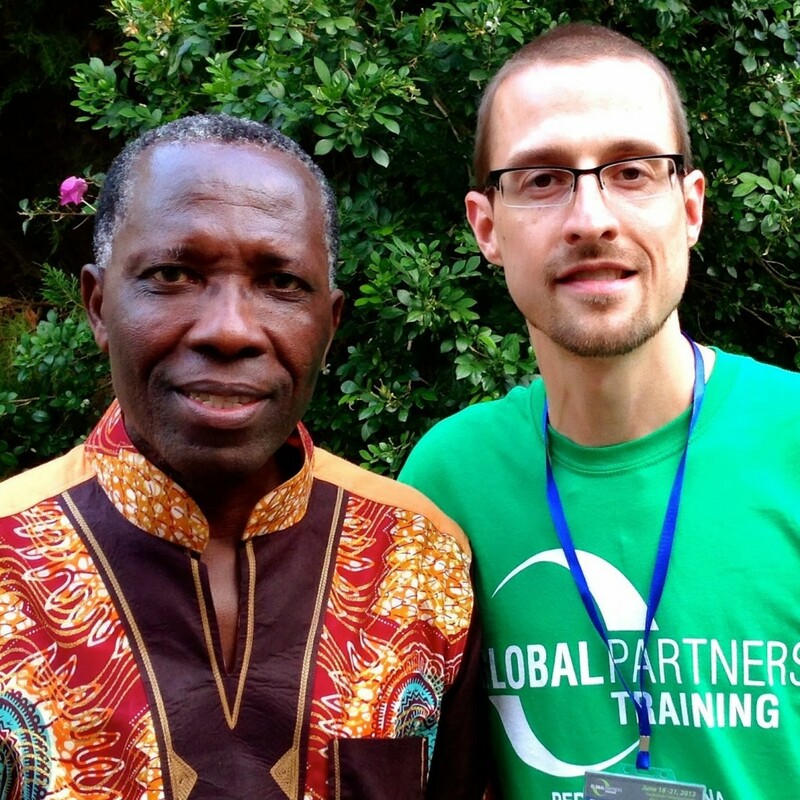 While sharing dinner with a pastor in Ghana last summer, I discovered that Rev. Asare already quietly invests in others. With great passion, this pastor described a deep mentorship relationship he and a group of other pastors experience with Rev. Asare. I’m not sure how he makes time for it, but Rev. Asare meets with them regularly. He prays with them. He surprises them on Sunday mornings to evaluate their preaching. He selflessly pours into their lives, and into the lives of his own Theovision International staff. Exude genuine humility – Humility cannot be faked. False humility is easy to detect, and quickly degenerates into arrogance. That’s why genuine humility is so incredibly rare. Tragically, many influential faith leaders today lose sight of the source of their success and become prideful. In spite of his many accomplishments, Rev. Asare exudes an indescribably genuine and contagious humility. The kind that makes him easy to follow. If you met him, you would sense a quiet confidence. You’d hear slow and measured speech. You’d encounter a warm and inviting smile. Above all, you would see Jesus. The annals of church history tell powerful stories of Augustine, Luther, Whitfield and Moody. Sooner or later, names from our generation will be added to this list. I nominate Rev. Theodore Asare. Lord willing, his example will enable us to identify others followers of Jesus today who are truly heroic.